I received a phone call a week or so ago from my good wife and partner asking me if I had heard the term “organic leadership?” She was attending a conference and they kept referencing this style of leadership. Unfortunately they didn’t provide much more information to them in the conference. 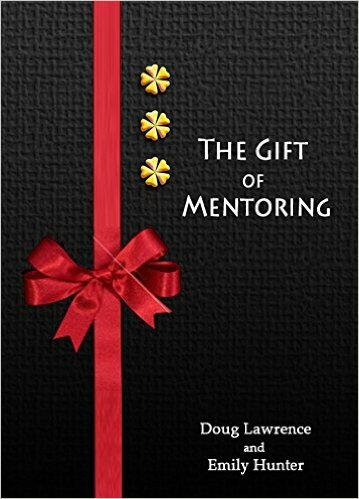 As a person who is passionate about the parallels between effective mentoring and great leaders I embarked on a mission to better understand what this leadership model/style was all about. 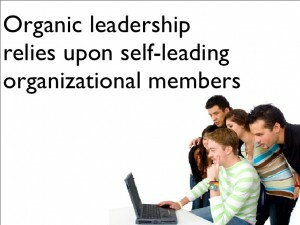 “But what does organic mean in terms of leadership? An organic leader is one who we naturally want to follow, not because we’ll get fired if we don’t (though we may), but because something inside of us believes that they are adding value to our lives, businesses, and organizations. I find the blend of servant, transformational and relational leadership quite a dynamic grouping of skills as something that we have not spent a lot of time developing. We do have a leadership talent shortage that is global in nature so we do need to address that. Organic leadership when it is applied in the right context is a leadership style that will take organizations into the future. It touches on all the right points that our youth are looking for and what they aspire to become. When I look at mentoring and its relationship with leadership I see a lot of the same skill sets when you compare all the elements of organic leadership (servant, transformational and relational). We talk about the effective mentor and how they are there to be of service, we look at the elements of a transformational leader and see a lot of similarities in skills and characteristics and finally an effective mentor is all about relationships – trusted relationships. Organic leaders and effective mentors are very similar. The journey to become an effective mentor is one that requires continuous learning. The journey to become an organic leader is one that requires continuous learning. My favourite quote from Ken Blanchard, “when we stop learning we stop leading” says it all.